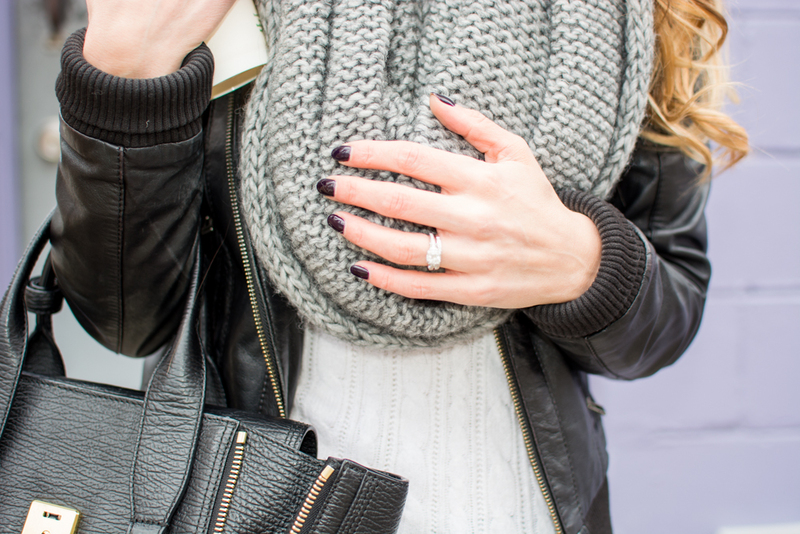 OOTD - Casual Sunday in Grey Knits | La Petite Noob | A Toronto-Based Fashion and Lifestyle Blog. Love how the pictures turned out! It was fun running from wall to wall -Lol Must do again soon!The pink pom pom is seriously a great pop of colour. LOL I couldn't agree more - running from wall to wall was so much fun! Hopefully our next photo session will be much, much warmer! You are so right Camille, the brunch was the perfect reprieve from the cold lol! That's such great advice Eleni, thank you! I think I'm going to keep it, and just get another bag to add into the rotation. I cope with the colder weather by not going out hahaha. Scarves and mittens are my best defense against the cold. I love your backgrounds of your outfit photos, btw. The colors are absolutely stunning! LOL I'm totally into hibernation too Lauren! One of the only things that gets me out in the winter is brunch :) I'm so glad that you like my backgrounds, I'm super drawn to a coloured wall. Okay so they came out perfect, you can't even tell that there was ridiculous wind that day. Also you have amazing hair! Loving your purse pom! I'm so glad you've held off on selling the Lim :). I also like the thin, silk scarf trick. It dresses up any bag! I love the silk scarf trick too Kris, such a good one! Yes, I'm going to keep my Lim and just save to invest in another bag to add into the mix. Definitely scouring the luxury consignment websites to find one!